The next person to feature on "Where are they now?" is one that has already featured on this blog and has also collaborated many times with the bloke that featured last week. Tom Hall is I believe one of the most important developers in PC gaming due to his contributions to well-loved games such as Commander Keen, Wolfenstein 3D, DOOM, Rise of the Triad and Anachronox. However, how did he get his start in PC game development and what is he up to nowadays? Hall was born in Wisconsin in 1964 and when he became of age (I'm guessing in the early 1980s) graduated from the University of Wisconsin-Madison with a Bachelor of Computer Science. During the early 1980s, Tom worked on several games on his Apple II+ he purchased in 1980, many in BASIC. In 1987 he got a job working at Softdisk as a programmer and editor, and it is here that he would eventually meet John Romero, John Carmack and Adrian Carmack. Hall worked on several games there before he co-founded id Software with Romero and the Carmacks in 1991. 1990 and 1991 were busy years for Hall and his colleagues at id Software. 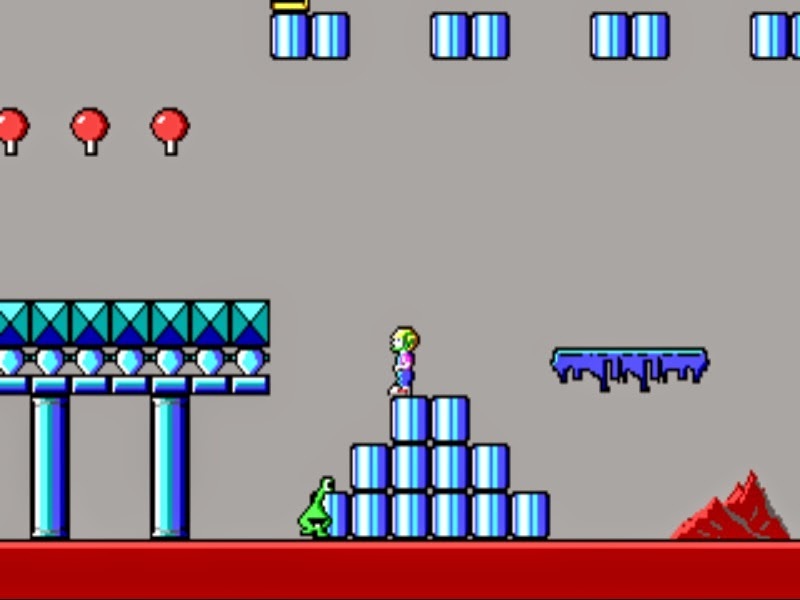 Hall was designer on all the Commander Keen games that were released during those years and is responsible for creating the much loved PC gaming icon, the Dopefish (who features in Commander Keen 4). Hall was also director on 1992's Wolfenstein 3D and the Creative Director on id's 1993 hit DOOM. Due to some disputes over the gore and violence in DOOM, Hall left id Software in 1993 and moved to Apogee/3D Realms. There he worked on the writing for 1994's Hocus Pocus, as the Creative Director on 1994's Rise of the Triad and Co-Producer for 1995's Terminal Velocity. Hall left in Apogee/3D Realms in 1996 to form Ion Storm with former id Software colleague, John Romero. Ion Storm produced the legendary computer game Deus Ex but Hall was responsible for 2001's best-game-you-never-played, Anachronox - one of my favourite RPGs of all time. It was this year that Hall and Romero left Ion Storm to found Monkeystone Games which focused on the development of mobile games. Hall worked on a few games here such as Hyperspace Delivery Boy!, Congo Cube, Jewels and Jim and Dig It! before leaving in 2003 with Romero to join Midway Games. At Midway Games, Hall worked as Creative Director on 2005's NARC and Writer on 2005's Area-51. He also left in 2005 to join Kingsisle Entertainment, a company specialising in Massively Multiplayer Online games. Hall suffered a stroke in 2010 but fortunately recovered and in 2011 joined Romero's company Loot Drop which specialises in developing games for social media. He was Creative Director for 2012's Pettington Park before launching a Kickstarter project in 2013 for a project called Worlds of Wander. The project promised to be a spiritual successor to Commander Keen and also double as a tool for developing platform games. Unfortunately the project only received $107,766 of its $400,000 target and never saw the light of day. The last thing that Hall posted on his personal blog is that he joined the company PlayFirst (famous for their Diner Dash games) as Principal Designer. According to his Twitter feed, that still seems to be the case. But what of Hall's awesome legacy? Games like Commander Keen and Anachronox? Will he ever make games like those again? I really hope so since I have really fond memories of them.